Do you have heavy traffic areas on your carpet? 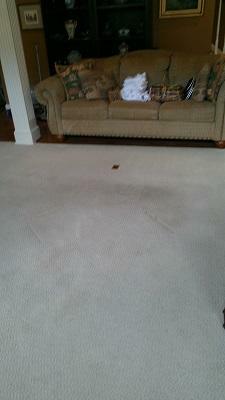 Heavily soiled and stained carpet dose not look good, it is unhealthy. The carpet is a sink for trapping soil and stains. Get them cleaned today by Able Carpet Care for a Clean fresh look! Make you home or office clean, return the fresh and new look to your carpets. Clean Carpets will make you home or office look like new again. Rug Dry Cleaning - It can be done. Carpet Cleaning or repairs. What do I do?